Folks – –we all know the problems the Orange County fire Authority has had recently with their scandals. The Orange County fire Authority’s union abuses their privileges. This union is now funding an organization in Mission Viejo that will foster high density development. Click here for proof. The PAC’s treasurer is Dan O’Conner. Dan is a local real estate lackey . 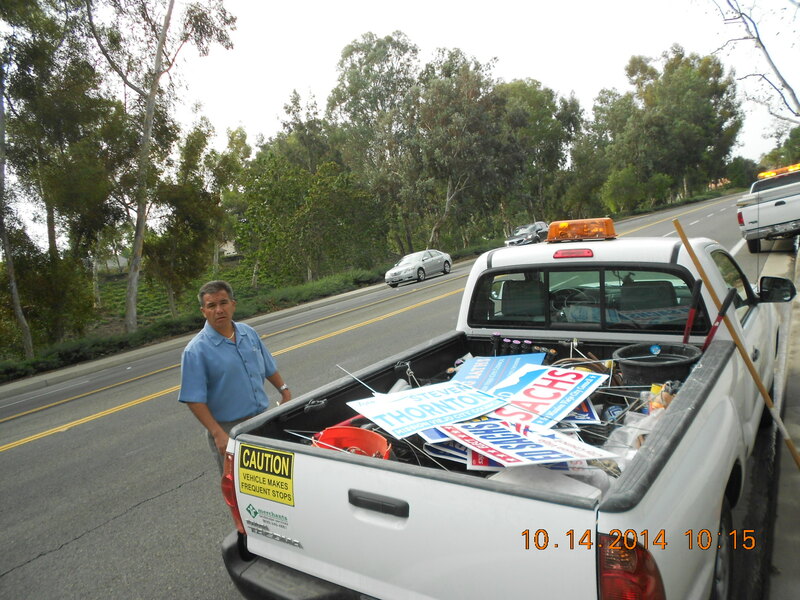 Yesterday (10/14/2014) City of Mission Viejo was caught stealing the campaign signs of candidates challenging the incumbents in the upcoming election. According to City of Mission Viejo Public Services Supervisor Raul Villalobos and Merchants Landscape Services Inc. Area Manager Noel Manzo, Assistant City Manager Keith Ratay ordered the removal of ALL POLITICAL yard signs from City property. 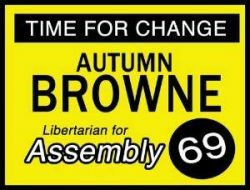 Does OC BOS candidate Ury want Mission Viejo residents to pee on trees? Mission Viejo Councilman Frank Ury is currently running for the Orange County Board of Supervisors but an embarrassing story is emerging in his city, and Ury is right in the thick of it. According to Desi Kiss, a longtime resident of Mission Viejo who is running for their City Council this November, the City of Mission Viejo has only 9 parks with public restrooms out of 50 community parks? Are we in a golden age of Orange County Mayors? Many of Orange County’s longtime Mayors have termed out in recent years – particularly some of those who also were lobbyists or political consulants, or who otherwise appeared to be self-serving, such as Curt Pringle, in Anaheim, Larry Agran, in Irvine, and Jerry Amante, in Tustin. The newer crop of Mayors who have been elected in the last few years include a few that are turning out to be fantastic Mayors.